The Mora Smoothie fashion blog, DIY fashion by Paola Buonacara: A Fashion place like Notify Open Space! 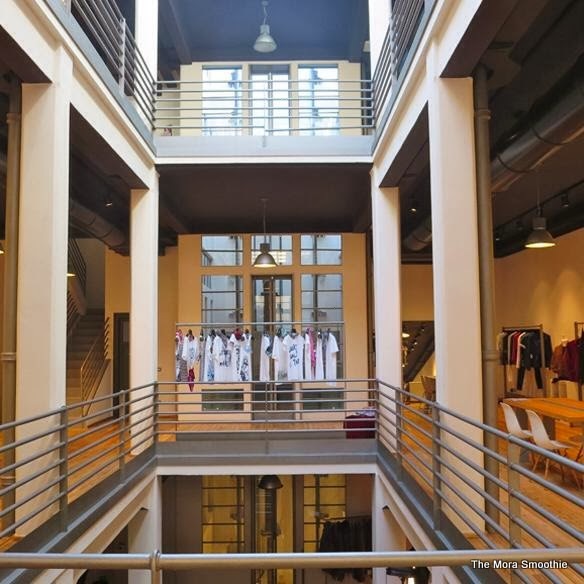 A Fashion place like Notify Open Space! Today I gonna tell you about Notify Open Space, I already mentioned here. I had the pleasure to be at the Notify Open Space during the presentation of the fashion-line ENVY Collection by Natalya Valevskaya together with the great Sara by Non Solo Shopping. 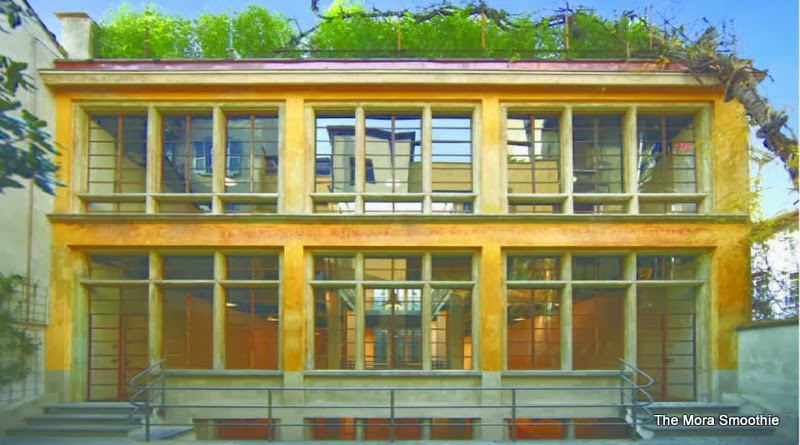 This show-room is located in Milan via Poma 52 really a fascinating location, a former factory flags renovated by the designer Ron Arad, a multifunctional space. Studswar, Faustdrang, Elpy, Ross & Brown, Rosas & Beats, Block Industrie, Angelos Frentzos, Romeo, John Partridge, Natalia Valevskaya and Mexicana with its fantastic boots to suit all tastes. But the Notify Open Space is not just this, you can find and attend events of fashion, art, design and culture, and you are greeted by a fantastic atmosphere and great staff. What are you waiting for to visit? ...and you'll agree with me. Ps: do not miss the fantastic Mexicana and the skirts made ​​from vintage fabric. A big kiss and see u next post. Oggi vi parlo di Notify Open Space, vi avevo già accennato qualcosa qui. Ho avuto il piacere di essere ospitata al Notify Open Space durante la presentazione della linea ENVY Collection by Natalya Valevskaya insieme alla cara Sara di Non Solo Shopping. Questo show-room, situato a Milano in via Poma 52, già di per sè è affascinante come location, un'ex fabbrica di bandiere ristrutturata dal designer Ron Arad, uno spazio polifunzionale. Studswar, Faustdrang, Elpy, Ross&Brown, Rosas&Beats, Block Industrie, Angelos Frentzos, Romeo, John Partridge, Natalia Valevskaya e Mexicana con i suoi fantastici stivali e per tutti i gusti. Ma il Notify Open Space non è solo questo, potrete trovare e partecipare ad eventi di moda, arte, design e cultura e verrete accolti da un' atmosfera fantastica e personale all'altezza. Cosa aspettate andate a visitarlo e mi darete ragione. Ps: non fatevi sfuggire le Mexicana e le fantastiche gonne realizzate con tessuto vintage. Un bacione grande e al prossimo post. DIY Necklace inspired by Chanel! "Handmade in Italy" by Morelato and Linea Nostra! DIY earrings inspired by Dolce & Gabbana! Tank Top DIY inspired by Giorgio Armani! Porsche Panamera Hybrid: fashion car test! DIY bracelet inspired by VitaFede! Fashion show by Cividini at MFW!